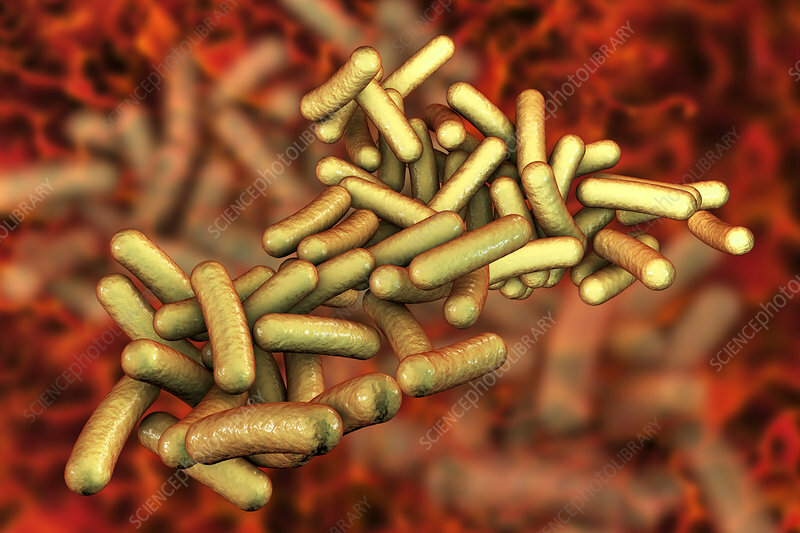 Shigella bacteria, computer illustration. Shigella sp. are Gram-negative rod-shaped bacteria (bacilli) and are the causative agent of human shigellosis. They infect the large intestine and cause dysentery, which can vary in severity from a mild attack of diarrhoea to an acute infection.